According to a 2012 Nielsen social media report, nearly half of all U.S. consumers are using social media to ask questions, report satisfaction or complain. This can be daunting as many organizations have multiple social media pages with thousands of followers on each one. However, providing attentive customer service on social media sites does not need to be stressful if you are prepared and organized. Many social media managers are relieved to see positive and neutral comments and feel no real urgency to respond to them. However, responding to positive comments is an easy win and shows users that your brand is polite, ready and willing to engage with the public on social media. Mentioning a person by name and tagging them is a great way to create a courteous atmosphere and show positive feedback is well received. Questions are another form of consumer feedback that should be answered as quickly and politely as possible. This will build trust with your audience. Now it’s time to address the elephant in the room: What to do when presented with negative feedback. It’s inevitable that some unhappy customer will take to social media to express grievances with your product or service. We know it can be hard to keep a level head especially when someone is attacking the reputation of the company you work so hard for. However it’s important to respond calmly, timely and respectfully. Add a personal touch to the response to avoid sounding robotic. Perhaps give them your direct line so they don’t explain their issues to someone who has no context of the situation. This will also make the customer feel like their needs are heard and they are a valuable enough customer to warrant a personal response. How about dealing with truly offensive of vulgar comments? That’s a tough one, but one of the worst things you can do is ignore them; this will not make them go away. The best way to minimize this is to call it out, monitor it closely and intervene when necessary. Maybe it would behoove you to write up a social media code of conduct and refer to it in times of need. Perhaps include a clause on reserving the right to delete offensive comments when they get out of hand. Any brand that has a social media presence should be prepared to offer social customer service on its social media channels. Whether you want them to or not, customers will talk about your brand and seek help on social media so it is best to be prepared and have a system in place. It’s important to learn as you go. Don’t be afraid to say thank you to positive feedback and learn from negative feedback. 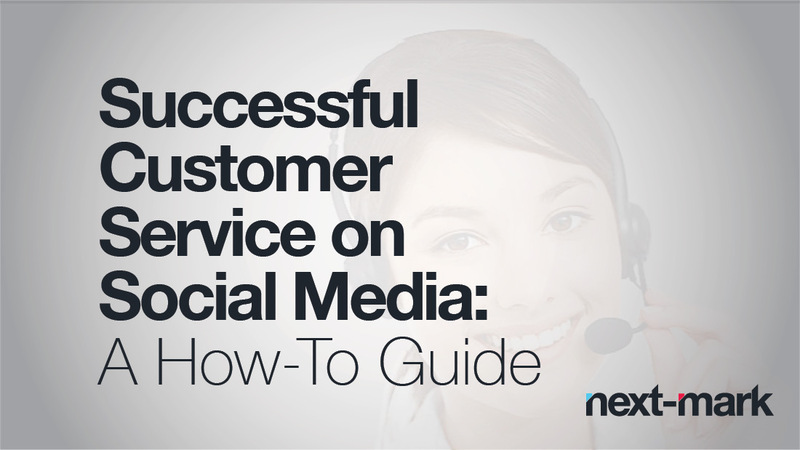 Maintaining successful customer service on social media can be as simple as checking in on your pages two to three times per day and responding to comments.